Did you know you can donate your unused credit card points to any number of good causes? Many folks are unaware of this. Remember last year when you transferred your credit card balance to a new card to take advantage of that 0% intro APR for balance transfers? As you know, your rewards didn’t transfer – and you were left with not enough to do anything significant, so you just let them ride. All the major credit card brands – Discover, American Express, Visa and Mastercard – allow their consumers to use their rewards for doing good. The big banks do, as well, including Capital One, Citibank, and others, too. While each of the credit card companies have their own processes, most of the time, you can navigate to your online account, click on the redemption tab and then donate them to the charity of your choice. Sukhi Sahni, a manger with Capital One says this is a great way to ensure 100% of your donation goes to the charity. Their credit cards shoulder all of the associated transaction charges and most others do as well, though you should double check if you’re interested in knowing for sure. While most networks will allow you to specific the charity of your choice, there are those programs where all the donations are pooled and then dispersed to specific charities in equal portions. That’s easy enough to discover, and if it’s not what you had in mind, check with the specific charity to see if you can bypass the bank or credit card network and donate directly to the charity. For every 1,000 points, $10 will be donated to your charity of choice. With AMEX, too, there’s no limit to how many you can use for donating to charity. Others have definitive guidelines about what the dollar amount equates to based on your points. Again, double check the specifics with your credit card company. That said, as you’re double checking compliance considerations with your card carrier, you’ll also want to check with the charity of your choice to see if it’s set up to accept these types of donation. American Express has a Members Give program. Members Give, once known as GivingExpress®, allows donations to more than one million organizations. It even offers on its website a tracking app that you can quickly print out during tax season. You can use all or some of your Membership Rewards points, making it a versatile option for many. Not only that, but you can even use a “Members Give Charity Certificates” that allows you to make a donation in someone else’s name. You’ll earn rewards for every dollar you spend on charitable causes, but be sure to enroll in that specific AMEX program. Visa’s program, Visa Giving Gateway, nearly mirrors AMEX specifics. It gives Visa users access to almost one million charities and these donations, of course, are tax deductible. You can also earn rewards on those charitable contributions. Sounds like a cycle that’s well worth it. Discover’s program is “Discover Giving” and its partner organization is JustGive. This partnership ensures Discover card members have access to a database with close to two million charities. Users can set up a recurring donation or they may give one time. 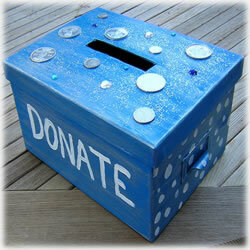 It also makes available the option of donating anonymously or in the name of someone else. Earn cashback bonuses on every dollar/point donated and you can make a rewards points donation with as little as $20 ($10 if you’re using your credit card) and up to $250 in various increments. For its part, Capital One has teamed with Network for Good as well as GuideStar. Donations are made to choice of the rewards owner if he specifies a specific cause. There are 1.2 million public charities, all located with the U.S., that are eligible with the Capital One rewards programs. And, too, just like the others, these donations are both tax deductible and eligible for further points rewards. This is just a partial list – rest assured, the odds of there being a similar program associated with whatever credit cards you carry are very high. Doing good is a remarkable way to improve our own lives. But, you’ll also want to be sure your donations are being routed to the charities versus lining the pockets of those with few, if any, ethics. This is one reason why many prefer to make their contributions via their credit card networks or the banks that issued those credit cards.